A coronary is a devastating experience that brings you to the very brink of life and forces you to change things from now on. It is not just the blocked arteries you have to consider, but what misled you all those years and what you intend to make of the life that remains. That could still be many decades, but it depends on your decisions now. If you are like most other people in economically developed countries you have arteriosclerosis almost from birth, depending on the quality of your diet, exercise and general way of life. It gradually stiffens and narrows your arteries throughout your life, but chiefly in adulthood. The angina which affects a minority in middle life is a direct result of the slow strangulation in this way of your heart’s blood supply, and is easy enough to understand. It is more puzzling that you should have a sudden, devastating and irreversible blockage of a coronary artery, perhaps without any warning. The underlying arterial disease has built up gradually over decades. Some parts of your coronary arteries must for several years have been as vulnerable to sudden blockage as they were when it actually happened: why now, and not then? The immediate answer relates to the clotting behaviour of your blood, whose chemical mechanism is still largely mysterious but capable of great variations. It is clearly affected by a wide range of physical and chemical factors, such as medication and nervous tone; it seems also to respond to changes in emotional tone and mood. 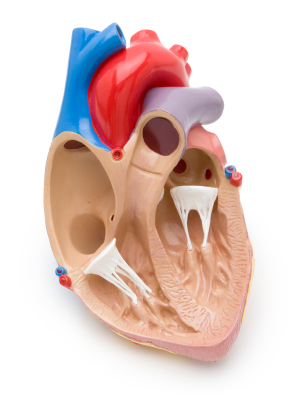 Furthermore the muscles in your artery walls can tighten during periods of tension, narrowing the artery further. So you will discover the reason for your coronary in the circumstances which surrounded it. Your diet at the time and for several months before determined how clean or burdened your blood was, and pre-existing disease helped to determine what your heart could cope with. Thyroid deficiency causes coldness and weakens your arteries long before it becomes obvious to your doctor. Overweight, raised blood pressure, smoking and excessive fat in your blood are indicators your doctor can measure, but do not correlate closely enough with abnormal clotting to cause it directly. Alcohol consumption relaxes the muscle of healthy arteries and opens up the circulation beyond them. This does not happen in stiff diseased arteries, which tend to be the ones nearest your heart. Consequently the warming effect of alcohol elsewhere in your body is at your heart’s expense, and highly dangerous to it. Stress in itself is not in itself a direct cause of coronaries, but exhaustion of your ability to cope with it seems to be. Great weariness or hopelessness under pressure, coupled with a heavy meal with wine and several cigarettes the night before, could therefore determine a coronary at three the following morning. Fundamental to the timing of this catastrophe is a critical breakdown in the integrity of your whole person, usually at a high level in your personal priorities. Either you are seriously disappointed or aggrieved by something that matters very much to you, or you have simply reached the limit of what you can endure. 1. Recovery: If you survive the first two days after your coronary, your chances of full recovery are good. They may be better at home than in hospital, and you should discuss with your doctor at an early stage whether there is any real point in your being in an intensive care unit or hospital ward at all. 2. Spend the first few days sleeping (see also Sleeplessness), literally to your heart’s content. This is far the best way to heal the effects of exhaustion under stress. 3. Convalescence at home gives you plenty of time to reflect on your life up to now and identify why your coronary happened. Any pressure you could not throw off before is shed for you by your illness. Use it well, to review what matters to you in life and what further purposes you wish to pursue. Identify the changes you mean to make, and how you will implement them. 4. If you are overweight, adopt the diet for healthy weight reduction (see also Food For Health). Include lots of fresh garlic, which favours your recovery and protects your heart in various harmless ways. Supplement this diet with bionatured or food-state Zinc (15mg daily), bionatured or food-state Selenium (100microgm twice daily) and bionatured or food-state Magnesium (two of 30mg daily). You should also have extra bionatured or food-state Vitamin B complex (200mg twice daily) if you cannot remember your dreams each morning, bionatured or food-state Vitamin C (250mg daily) and bionatured or food-state Vitamin E (300IU daily with Selenium). 5. Reduce chance of further coronary: Lecithin (600mg three times daily with meals) lowers your blood cholesterol level and helps to mobilize fatty deposits from arteriosclerosis, progressively reducing over several months your risk of a further coronary. 6. Breathe efficiently, making sure to fill your lungs properly for at least ten breaths, twice each day. 7. Exercise: As soon as your doctor advises, begin to exercise gently but persistently to improve your fitness and hasten weight loss. 8. If inappropriate coldness is a feature of your life, read Always Cold. 9. Make some room in your life for being yourself. You have probably not had proper and adequate recreation for decades; it is important now. 10. Your coronary is not the disaster it might have been, but a second chance to live life abundantly. How you heal depends on grasping your opportunity. If you feel finished, you will be; but if you are determined to live, you can. Do not be intimidated by any prognosis you are given; it is only an educated guess, pleading to be defied. 11. Having set your course for recovery, cherish every one of the days you might so easily not have seen.